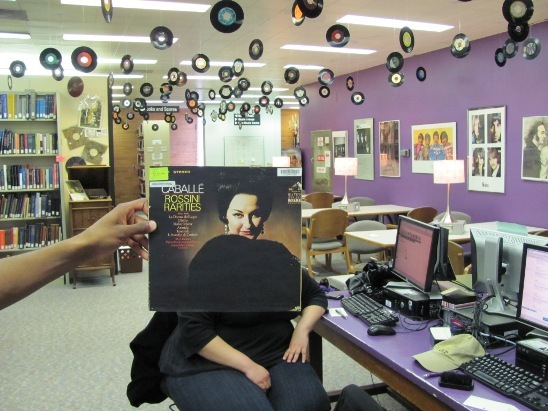 Montserrat Caballe gives her best “come hither” stare to the librarian for assistance finding an item in the online catalog. In this photo: Montserrat Caballe, Franklin Brewer and Monique Young. Photo by Liz Tousey. This entry was posted in Classical and tagged Montserrat_Caballe. Bookmark the permalink.